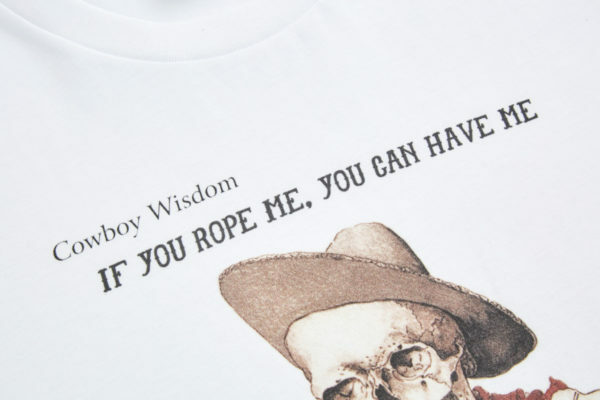 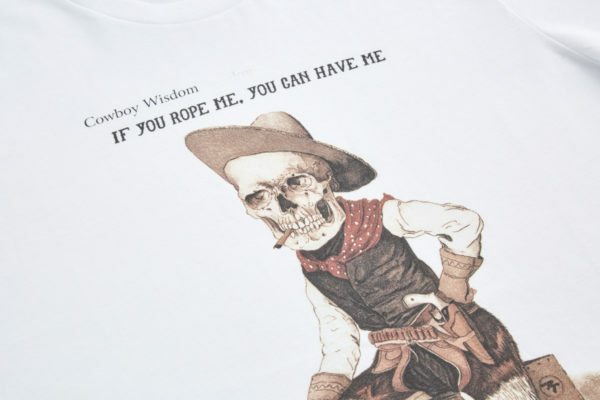 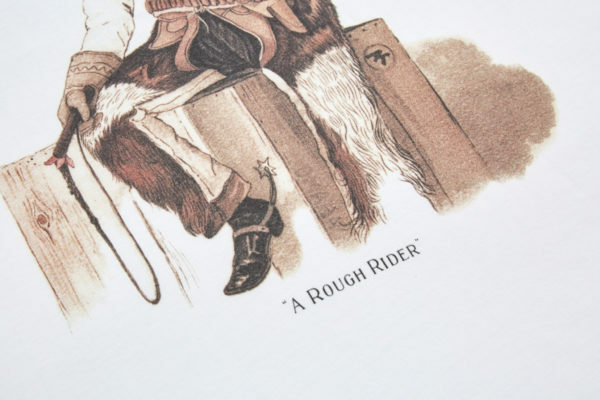 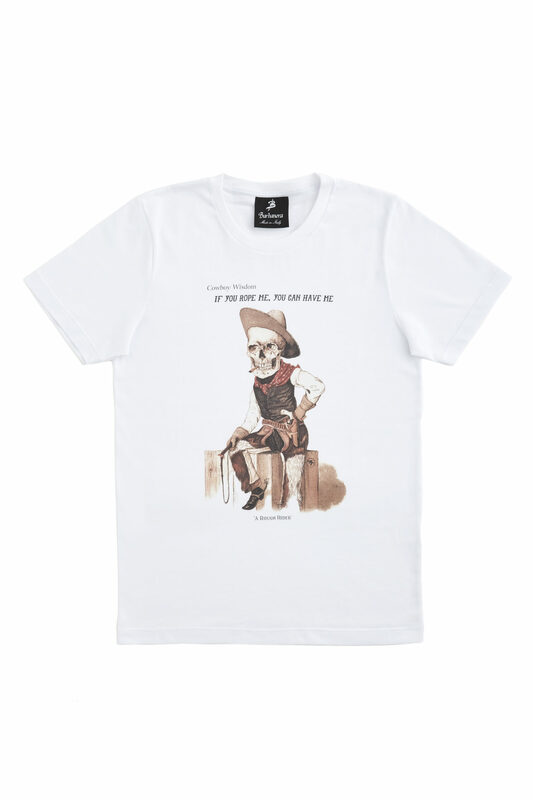 Our cowboy t-shirt. 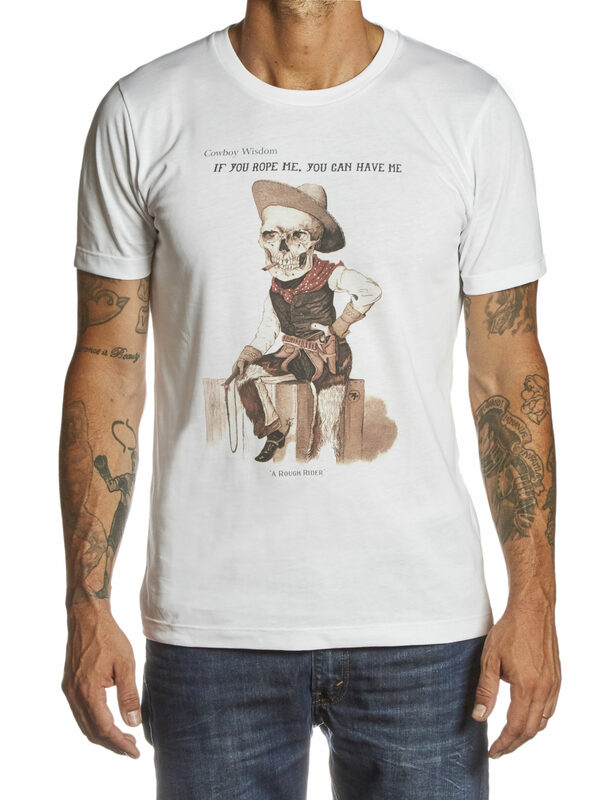 100% cotton jersey, made in Italy, featuring an amazing vintage skull cowboy print and our logo on the sleeve. 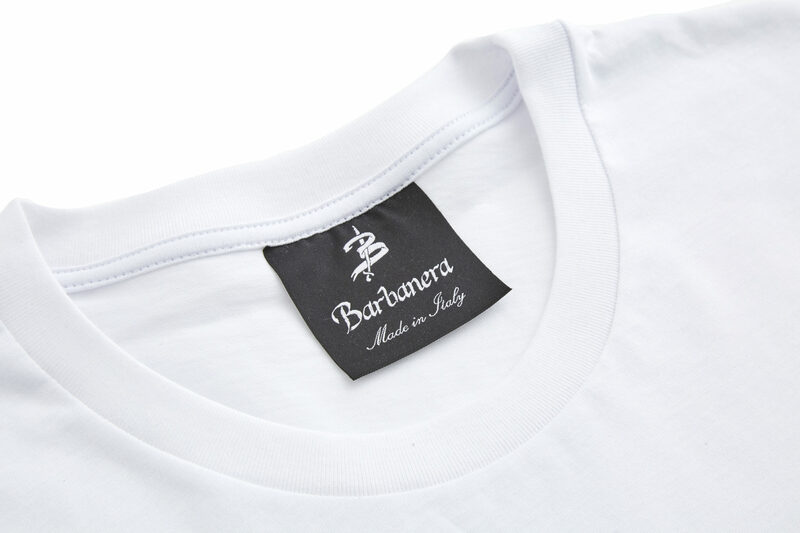 Not baggy, not too tight (we are not bodyguards), just the perfect cool fit: slim on the shoulders and a bit relaxed at the bottom. Be warned: your girl will try to steal it.